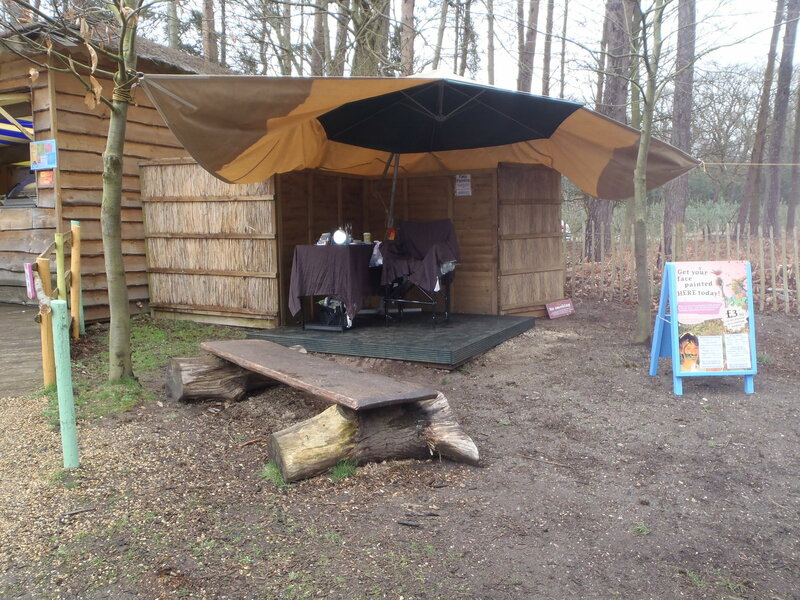 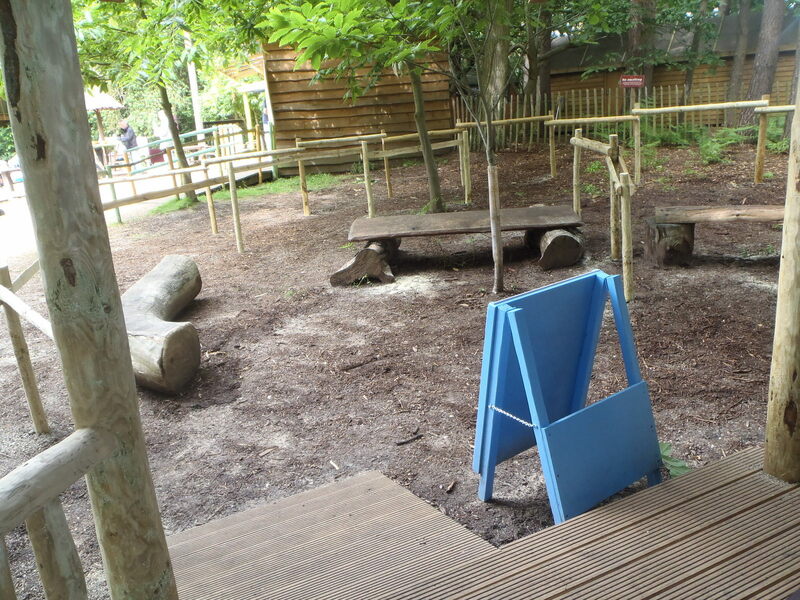 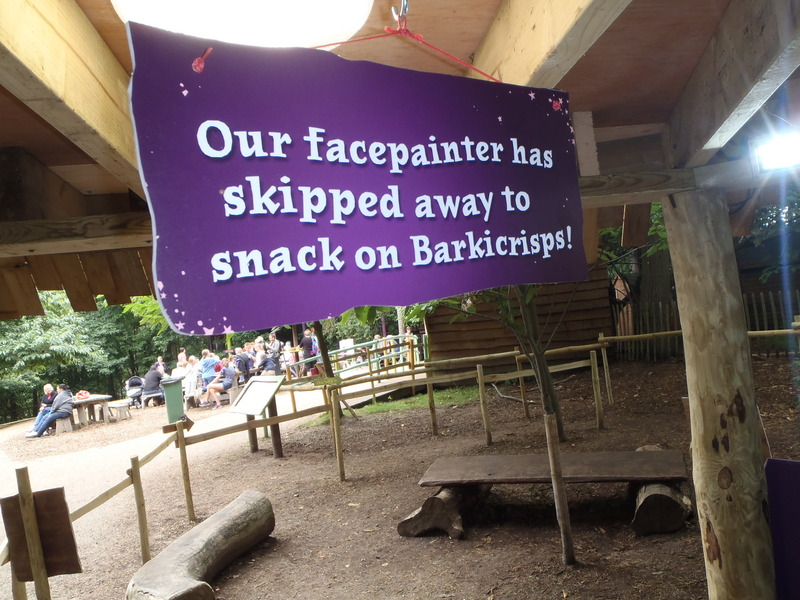 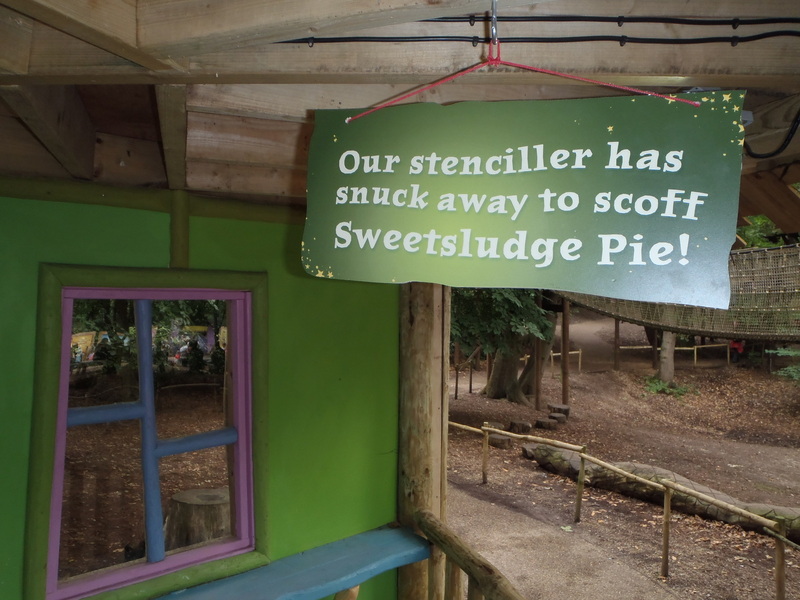 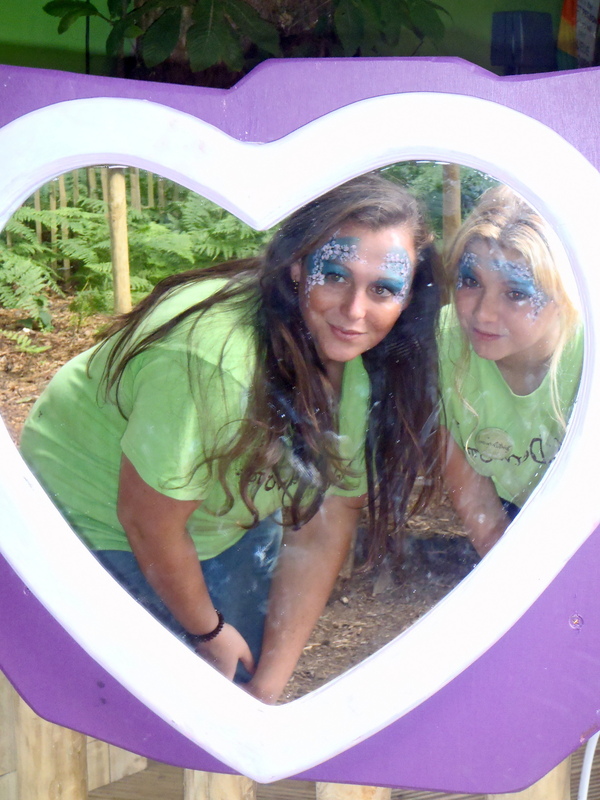 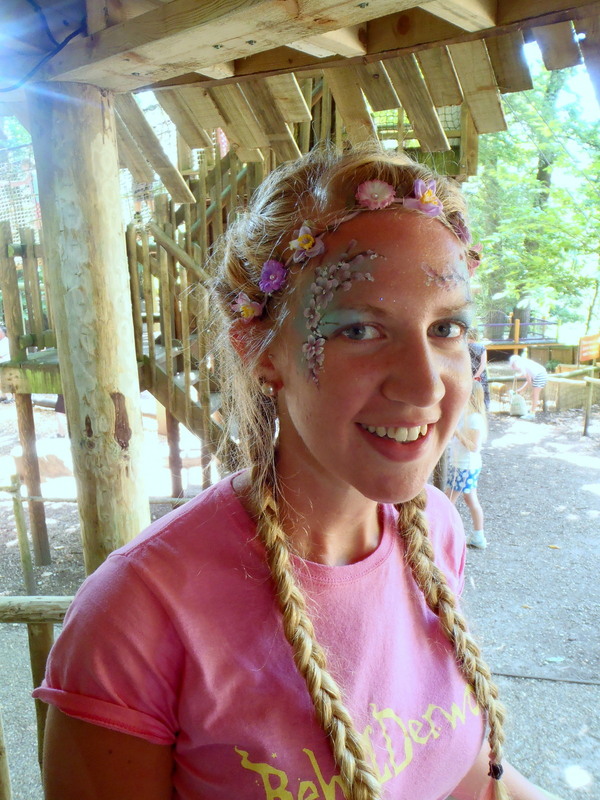 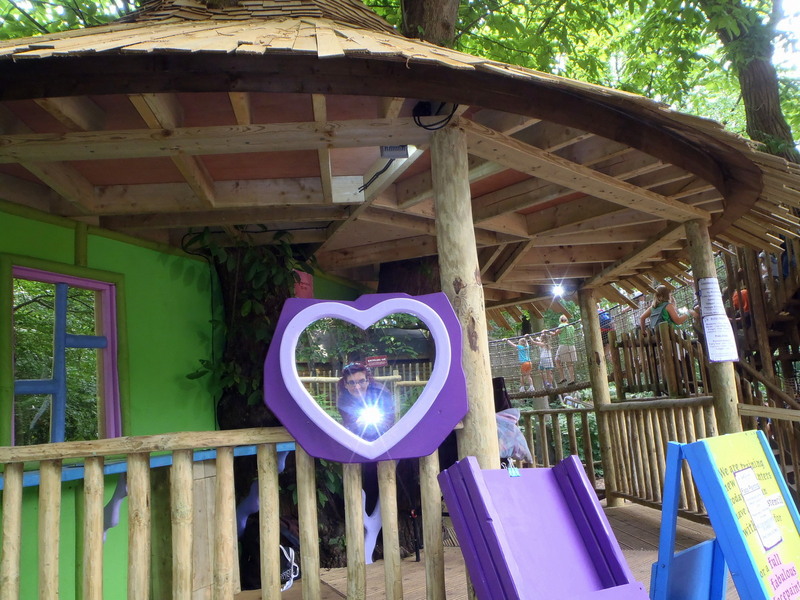 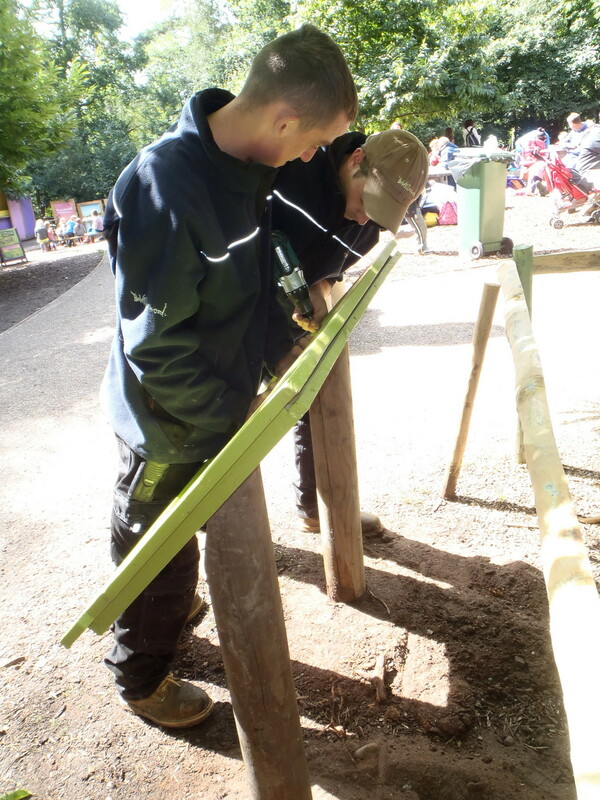 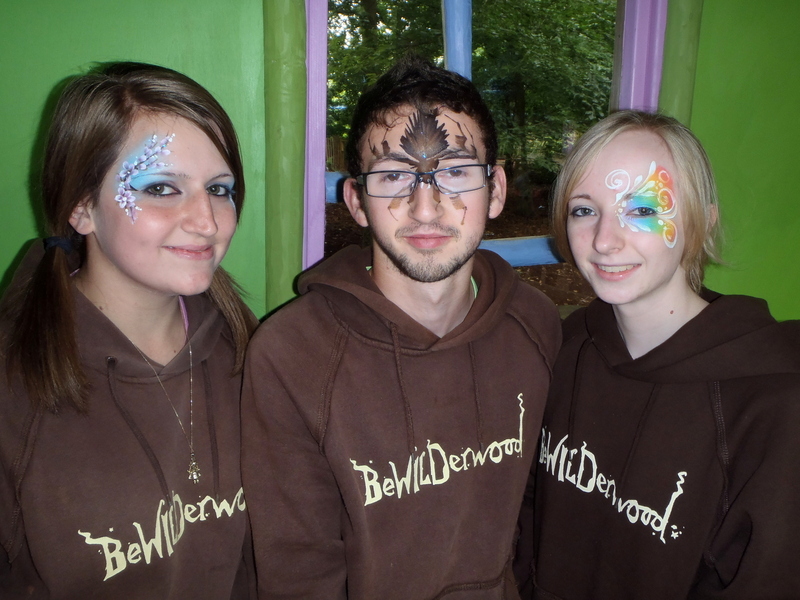 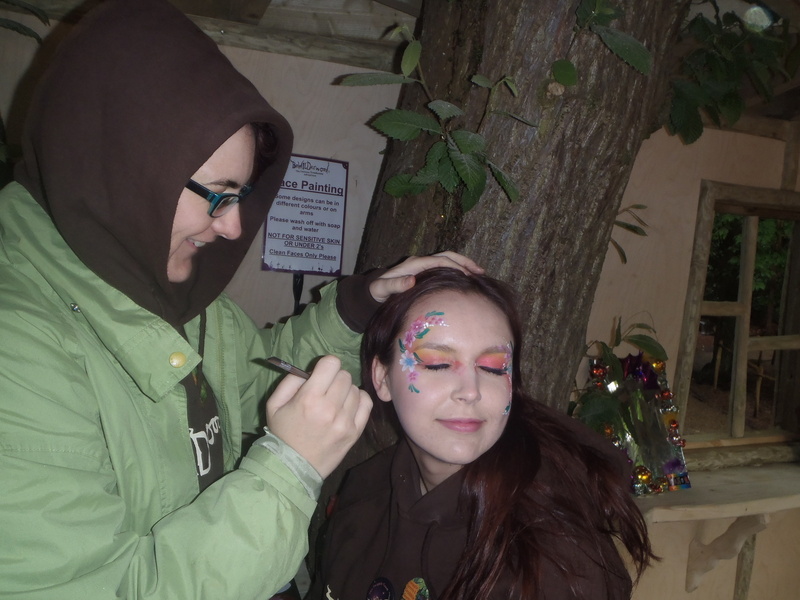 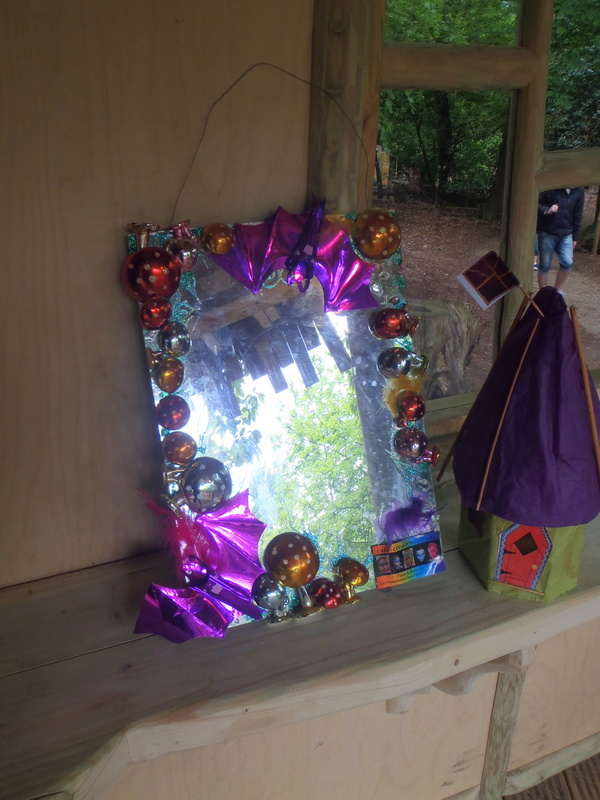 Bewilderwood Building A Facepaint tree house!! 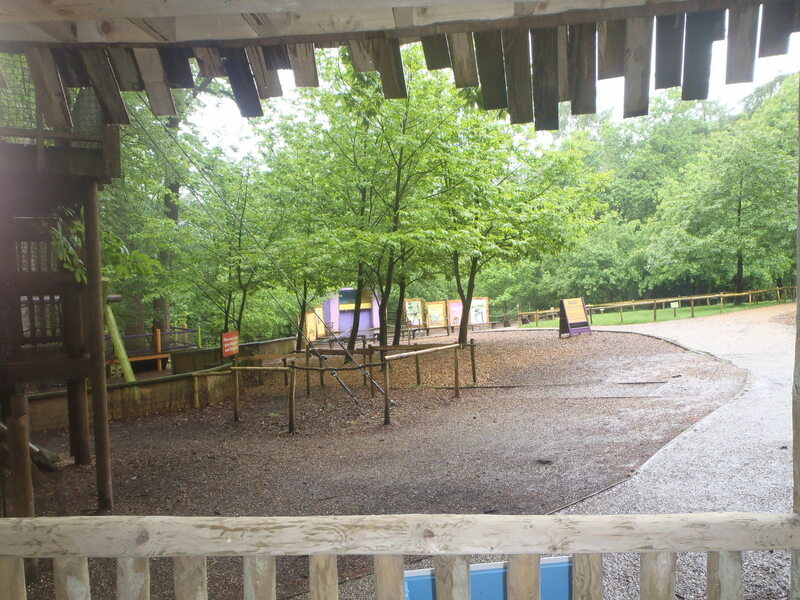 A bit excited; as said I used to work in a corner of Bewilderwood beside Cosy Cabin on this platform, which later had an umbrella, sheltering corners and eventually a sail added. 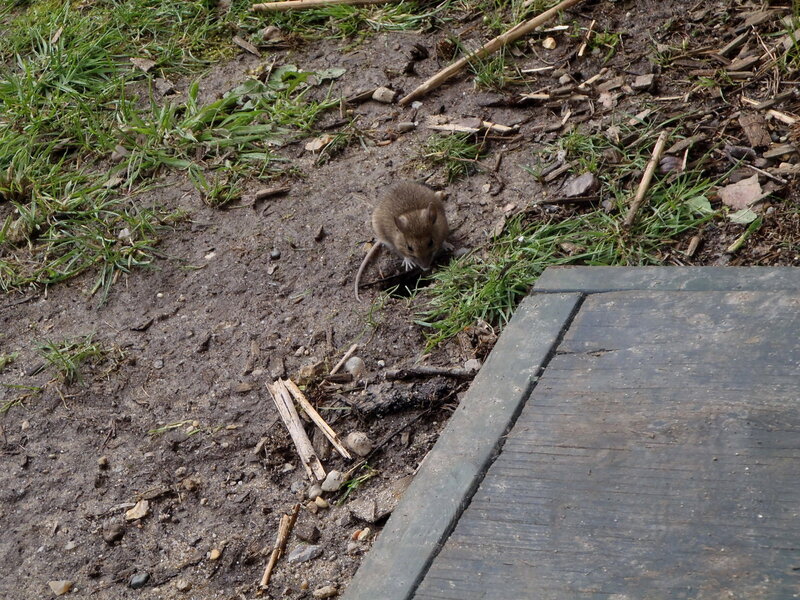 I did have a ‘pet’ robin who sadly didn’t return my next spring (tough winter) but the mouse replaced him for a while. 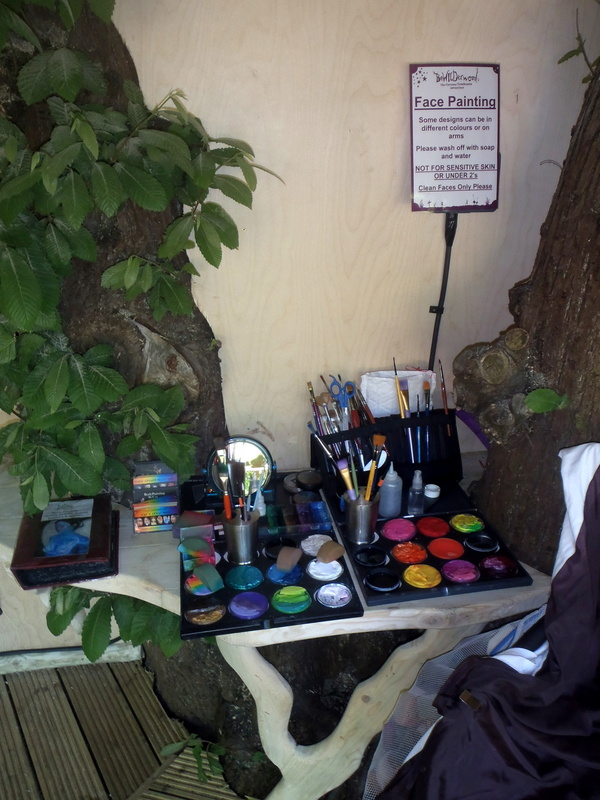 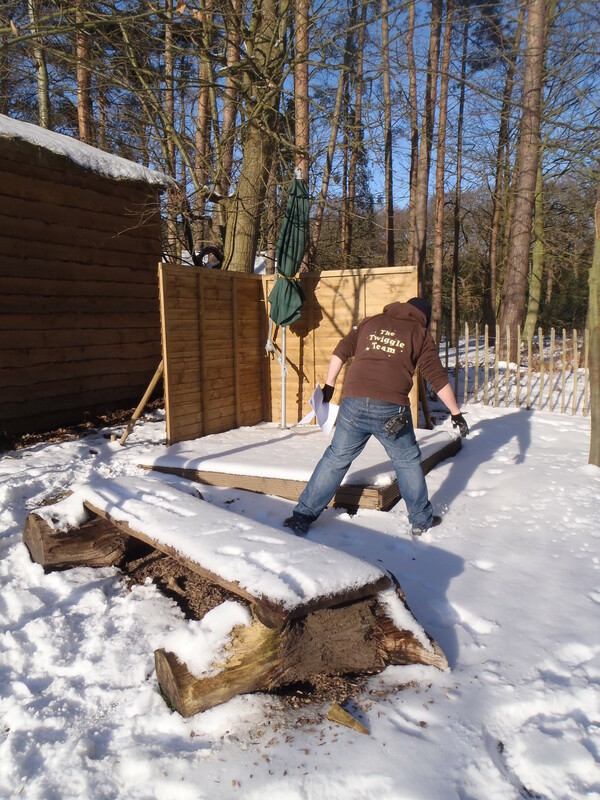 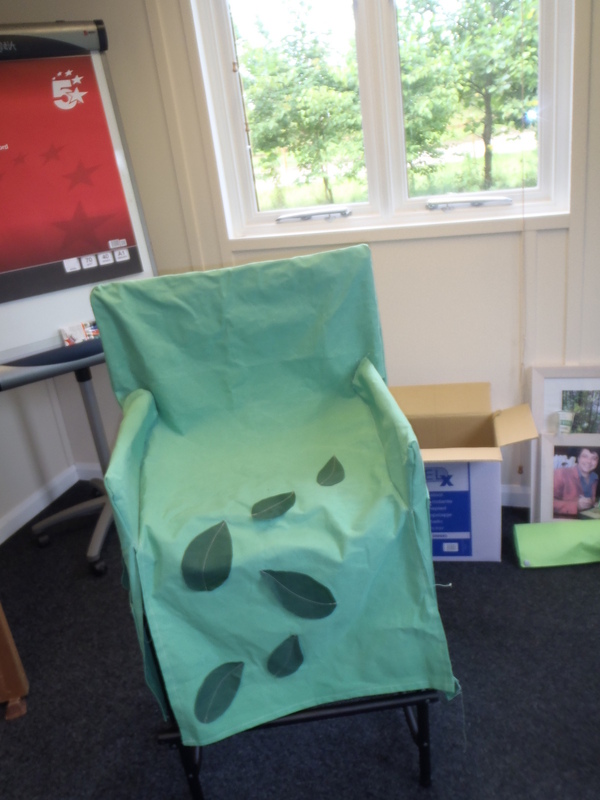 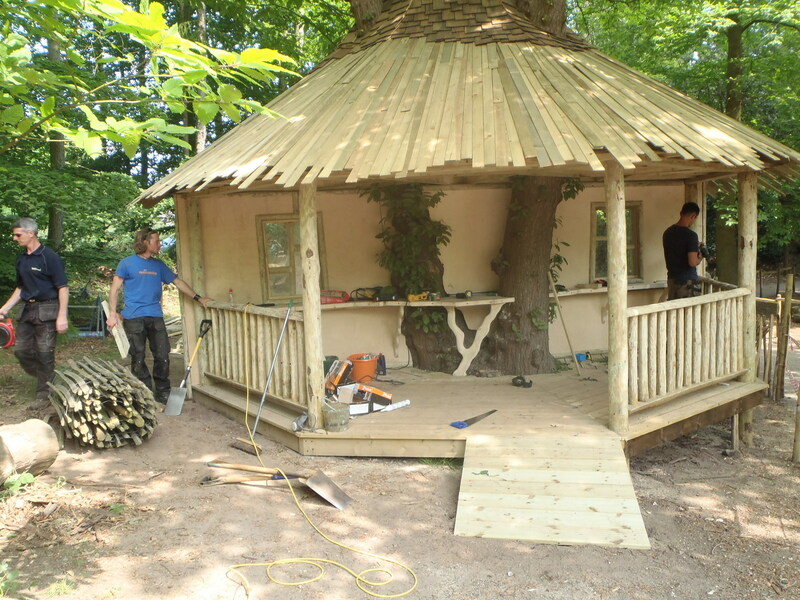 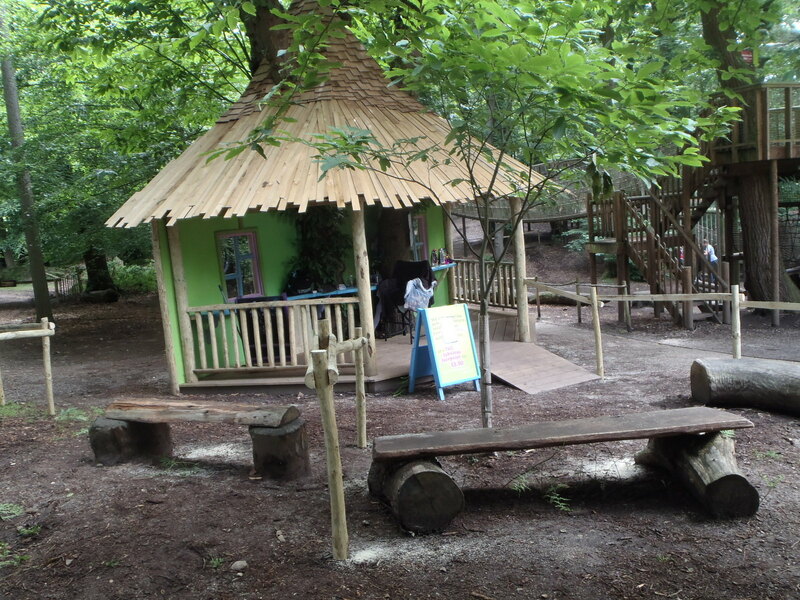 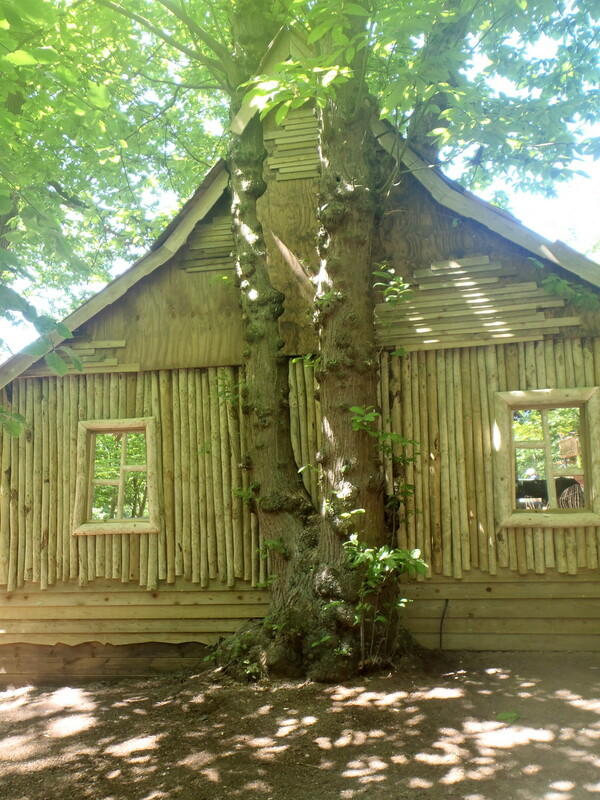 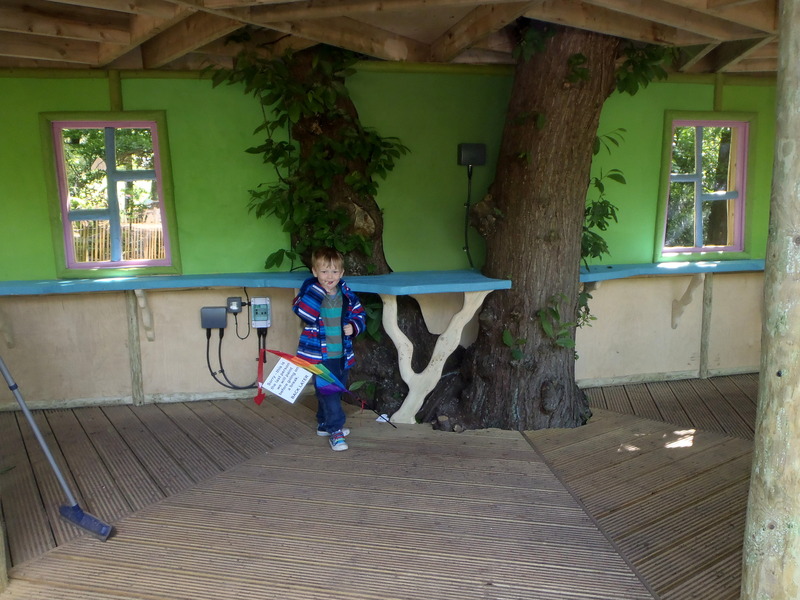 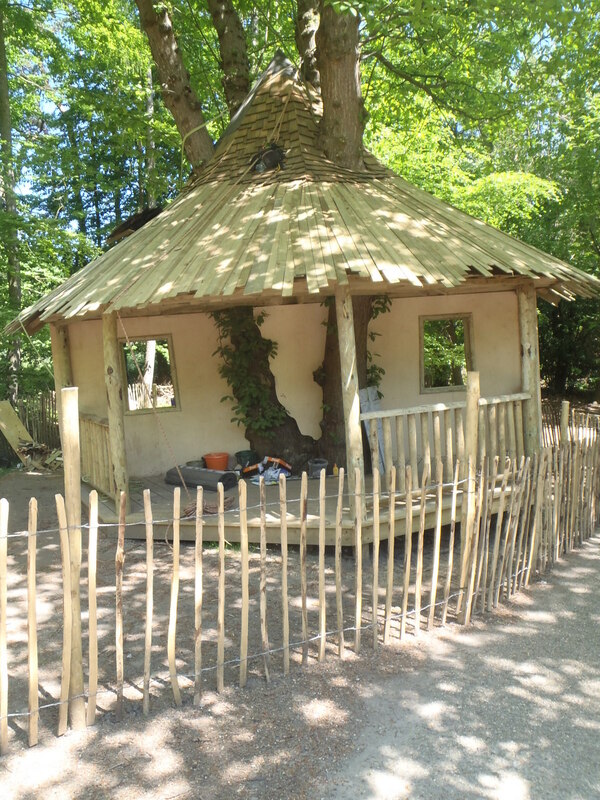 No it’s not Boggle Builder Jim dancing a highland reel, it’s a tree house for face painting! 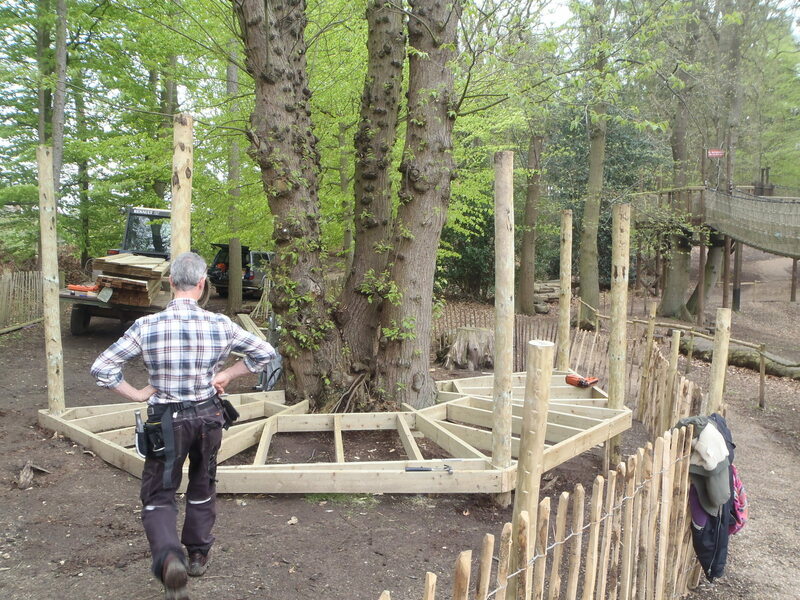 Jim, Joe and the others were amazing and it really shot up, all carefully built around the tree I used to pose Emily etc against for photos. 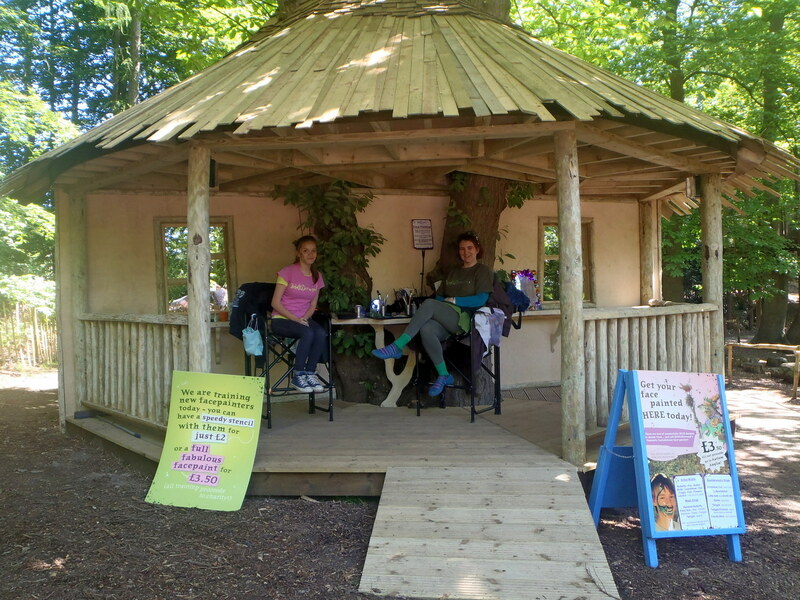 and we moved in! 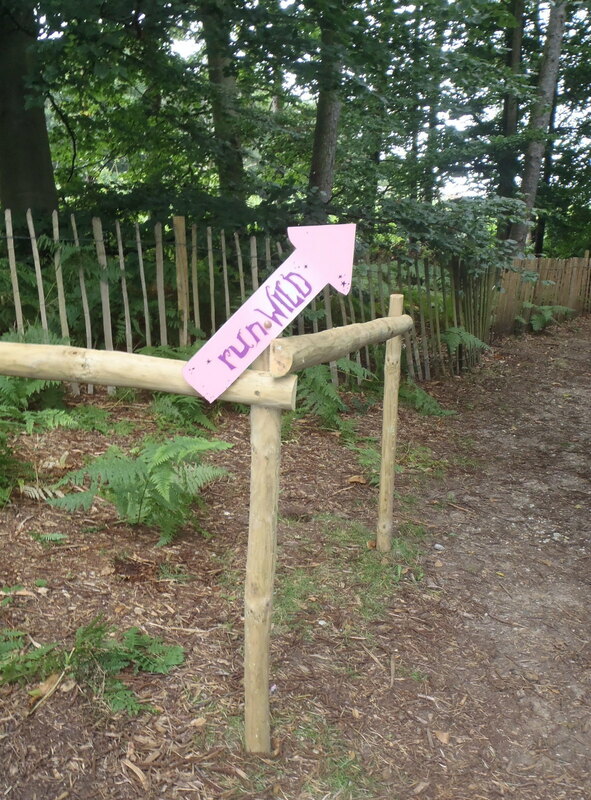 A little breezy at times but stunning and very Twiggle. 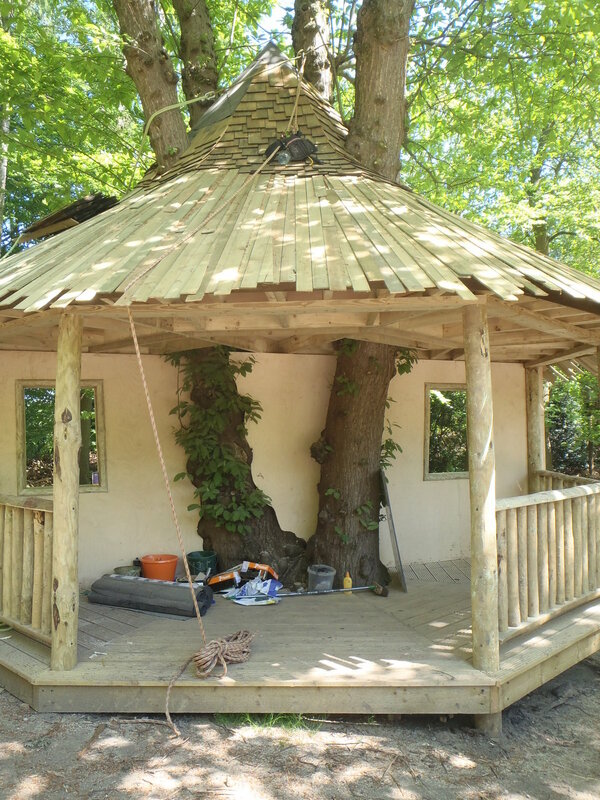 I’m looking forward to being beautifully shaded in the sunny season!